Next weekend we're taking part in the first ever 'add WOW to your wardrobe' experience. Black Dahlia and 7 Digital are behind the event, which will take place at Bar Lounge on Pitt Street. There will be catwalk shows with all garments available to purchase immediately. 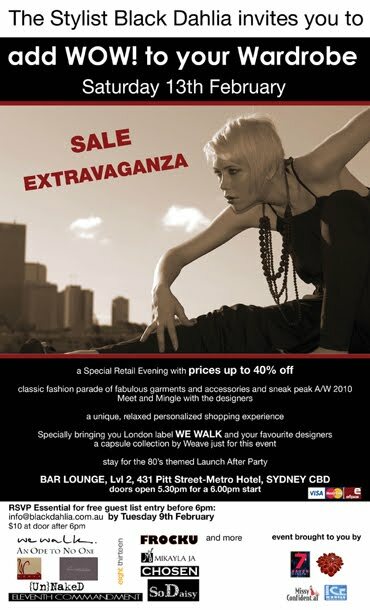 You will also get the chance to hang out and have a drink with the designers from each of the labels. Come get involved.